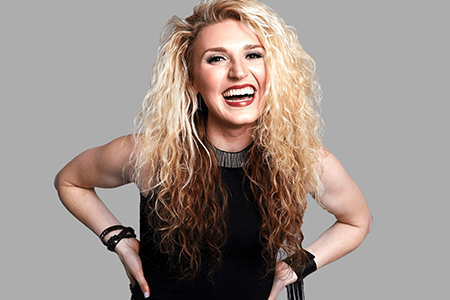 Singer songwriter Paulina Jayne, who graduated from Belmont University in May, has recently been granted a sponsorship from Ford Motor Company. Ford Driving Skills for Life program has signed Jayne as a celebrity sponsor where she will promote the program and safe driving through video and public service announcements. The sponsorship from Ford does not only focus on Jayne as an artist, but involves her management team as well. Jayne is managed by Girl King Co. where she works with other recent Belmont graduates Tess Davies and Stevie Palmer to build her brand and music career. After pitching Jayne’s music and their plans for the future to Ford, the group went through a lengthy process before finally signing their sponsorship. Ford landed on Jayne and Girl King Co. because of their talents and their representation of the innovative and empowering thinking Ford Motor Company embodies. Ford appreciated the way they conducted themselves and their business as a management firm. Jayne was born and raised in Detroit, also known as “Motor City,” giving her a connection to Ford and their cars. She is excited to get the opportunity to work with Ford Motor Company and to spread messages about safe driving. Jayne also recently became the celebrity ambassador for the national nonprofit organization Miss Amazing which helps to empower girls and women who have disabilities.